Bald’s Leechbook must be the best name ever for an edition of Old English medical charms and remedies. I use a number of these medical recipes in Grendel’s Mother: The Saga of the Wyrd-Wife. Bald’s Leechbook was the preeminent medical text of its day. Image: © The British Library Board (Royal 12 D xvii). See more here. I would leave out an ingredient or two just so someone could not replicate such a recipe. Some recipes seem, from our modern perspective, “crazy.” For example, it is suggested that a woman who bleeds too much should find a horse “turd” and put it on a fire; she should stand over it to be fumigated by the smoke. I always wondered how someone would avoid being burned! So I wouldn’t try that at home. But other recipes and folk remedies may have been efficacious, and not just as placebo effects. After all, a tea made of willow bark is said to cure headaches–aspirin is synthesized from elements occurring in the willow plant. Many recipes involve chanting charms. Music therapy is said to be curative; the charms and their rhythms might have had a healing effect. take cropleek and garlic, of both equal quantities, pound them well together, take wine and bullocks’ gall, of both equal quantities, mix with the leek, put this then into a brazen vessel, let it stand nine days in the brass vessel, wring out through a cloth and clear it well, put it into a horn, and about night time apply it with a feather to the eye. Doctors Lee and Harrison experimented with a recipe to cure infection. 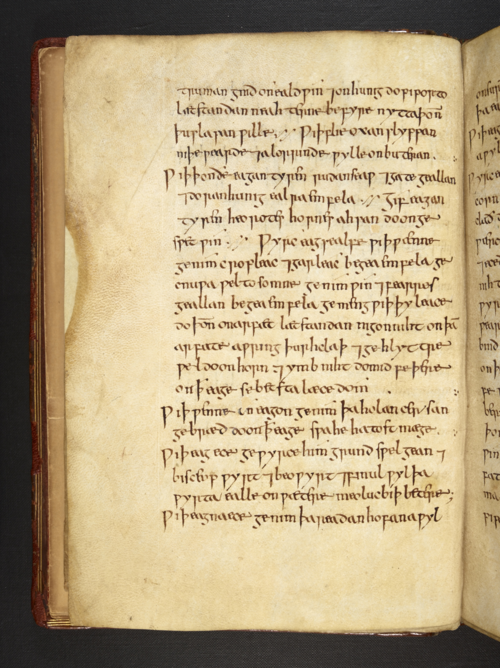 It turns out, it is a promising antibiotic from the 9th century for MRSA today! We can learn from our Anglo-Saxon forebears, not just in literature, but medicine as well. The microbiologist just happens to be named Freya. Interesting. Maybe she’s THE Freya, assuming a modern persona in order to share the ancient magic of the Norse in a new way. Yes! She just very well might be. And you know we are related to the smith god, Weland/Wayland (Wehlen).